I was so excited that rubyangel711 tagged me to do this post! It sounds like fun, and we know all of us makeup lovers are guilty of some of the 7 deadly sins of beauty! I know I certainly am as you will soon see. Now, lets get started! Greed: What’s your most expensive beauty item? 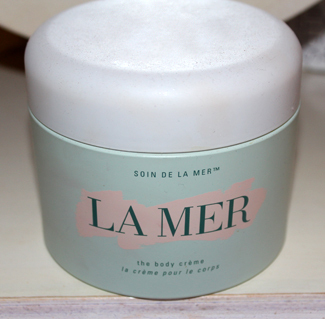 My most expensive beauty item is my La Mer Body Cream. My amazing mom gave it to me as a gift when she saw how awful and dry my skin got from the cold wintery weather. I am extremely thankful! Wrath: What item do you have a strong love/hate relationship with? I have a strong love/hate relationship with lipstick! I love it but often get it all over my teeth. Does anyone else have this problem? I know my mom does…guess I took after her haha! (Photo credit below to her.ie, click on picture to be directed to the site). 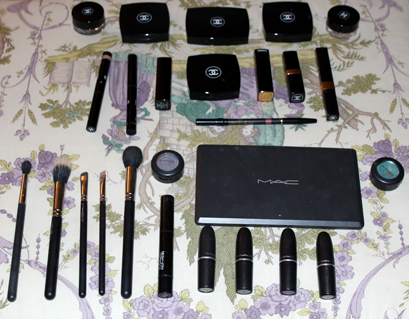 It is definitely a tie between Chanel and Mac. They are two of my favorite beauty brands. I probably own an equal amount of lipsticks and eye shadows from both; I just can’t get enough! This is a sample of my collection. I can honestly say that I don’t think I ignore any product due to laziness. 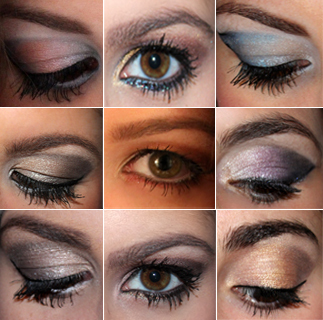 I skip on eye shadow if I am going out to run errands though, so maybe that counts! False lashes! My lashes are already long but when I have a special occasion such as a party, I love wearing false lashes. Regardless of how long my lashes are, I always feel more confident with longer/thicker falsies. They are my favorite and since I only wear them for events it makes them more special! My favorite false lashes are by Make Up For Ever. Right now the top item on my wish list is Instigator by Mac Cosmetics but it’s sold out!! Bright neon/colorful eyeliners. I’m not sure how others feel about them on me but I personally feel like bright neon and colorful eyeliners (bright blues, pinks, purples, etc.) make me look washed out. (photo credit below to simplebeauty101, click on photo to be directed to site). Thanks for the tag rubyangel711, this was fun! I also encourage the rest of you to share your 7 deadly sins of beauty! Please feel free to leave a link to your answers if you decide to do this, I’d love to see all of your answers too. I hope you enjoyed this as much as I did! If you liked this post please follow my blog =] Xox. Two of my Favorite New Skin Care Products! I really enjoyed the seven deadly sins applied to beauty and make-up. How clever! Thank you, I’m so happy to hear that you think so! Nice post. I enjoyed reading your post. La Meeeeeer, yeah, it’s definitely a bit of a sin to splurge on that! 🙂 Very cool tag, it was fun to read. Oo, I never thought about the colourful eyeliner thing but YES. I agree. I’d love to be able to pull those off. I do have a glittery purple and a teal but I rarely pull them out!